I've very excited to say these are some goodie I won from Emma and Nuala's giveaway. I won a MAC Pigment in Vanilla, Clarins Lip Perfecter in Candy Shimmer and the most exciting prize was the Nars Eye shadow Duo in Isolde. I can't wait to start using my eye shadow palette, I'm just in need of some decent brushes and some YouTube tutorials so I can experiment. I also won a Vaseline Spray & Go body moisturiser and a hand cream from Bath & Body works but I struggled to get a good photo and they're now sat in my bathroom ready to be used. Have you won anything recently? Don't forget to check out my Blog Sale in the side bar. 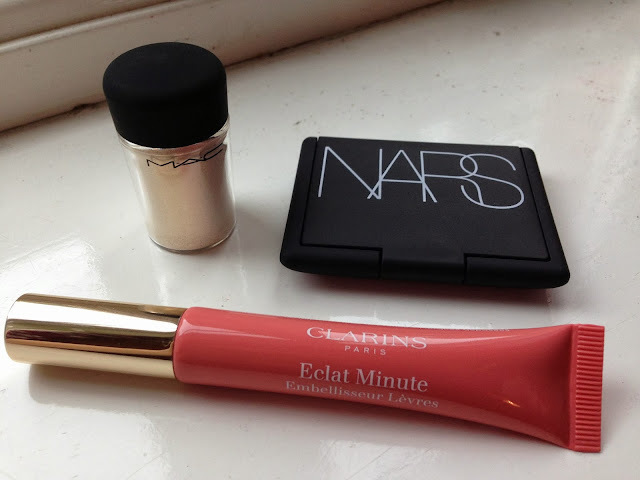 Gorgeous products, please do a review on the nars eyeshows! 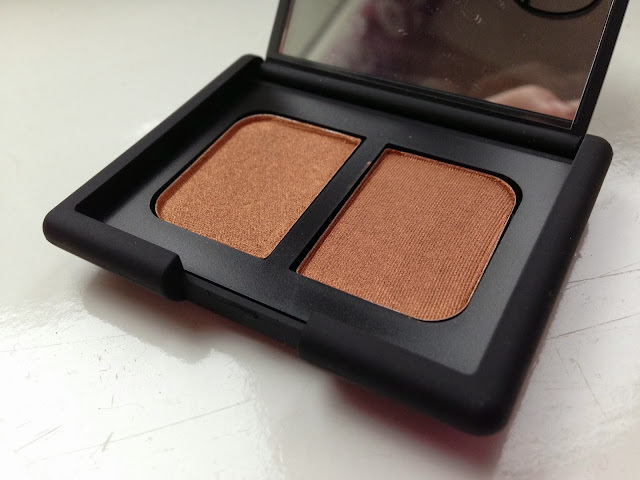 the nars product looks amazing! Those eyeshadows look amazing! They are totally perfect for this time of the year!! Wow the eye shadow duo looks absolutely gorgeous! !